Every archer needs a bow bag, or sock, to protect their treasured bow. 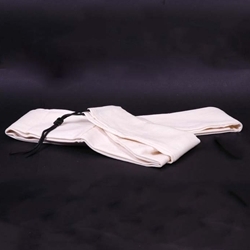 This small bow bag measures 74" to fit a 68" bow. They are 4" wide with a drawstring on top.